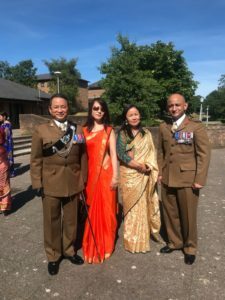 Gurkha Wing (Mandalay) (GWM) celebrated the 33rd Brecon Freedom Parade on Sunday 24th June 2018. 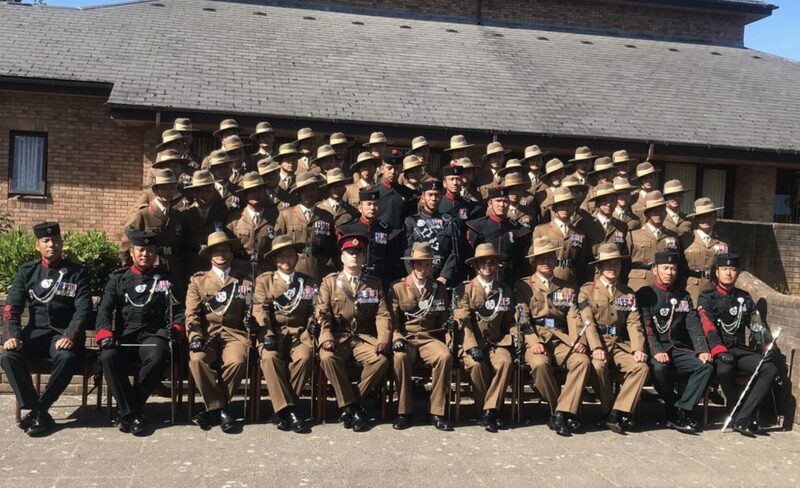 The Mayor of Brecon, Councillor Manny Trailor, The Ambassador of Nepal to the UK, His Excellency Dr Durga Bahadur Subedi, Commanding Officer (CO) Infantry Battle School (IBS) Lieutenant Colonel Chandler, Deputy Chief of Staff (DCOS), Headquarter Brigade of Gurkhas (HQBG) Major Narendra Kumar Gurung along with many other high-ranking Officials, both military and civilian, were among the chief guests present at the parade to witness yet another historic event. 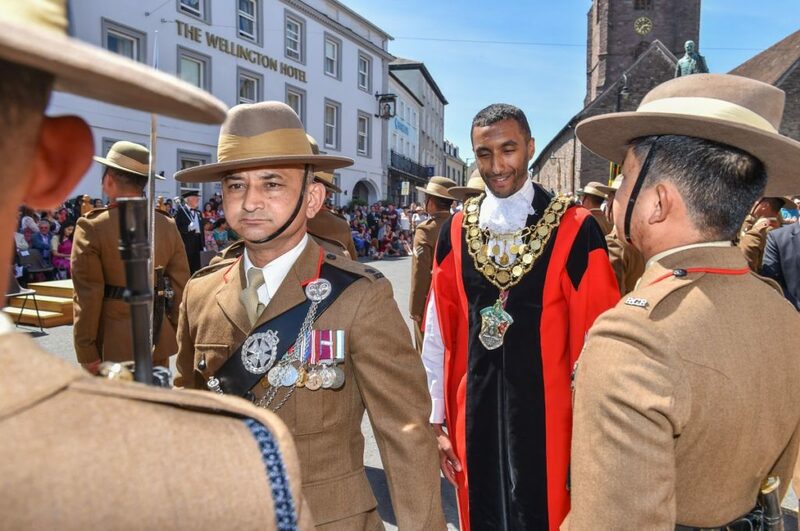 The parade saw the soldiers from GWM accompanied by the Band of the Brigade of Gurkhas, exercising their rights as Honorary Citizens of Brecon as they marched through the town. 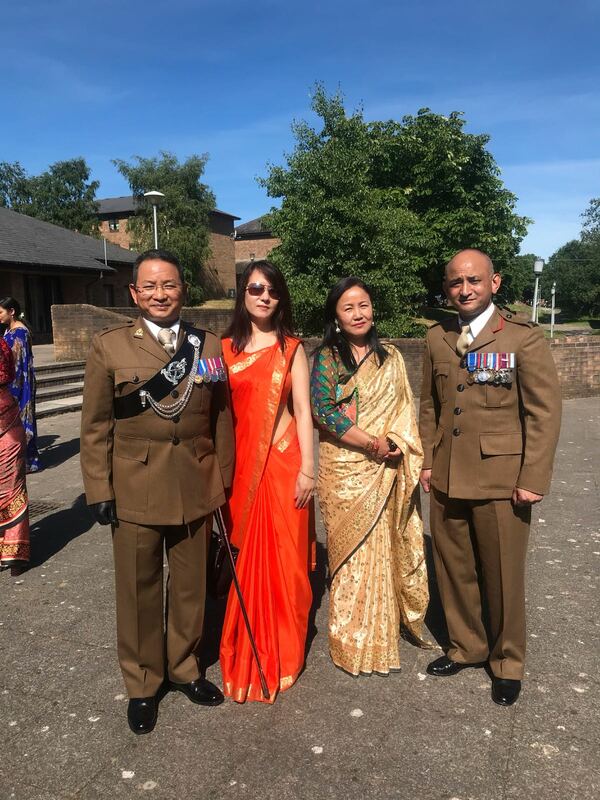 Major Sachinhang Limbu, Officer Commanding Training Support Division had the honour of being the Parade Commander. The Mayor of Brecon and The Ambassador of Nepal to the UK gave a warm speeches talking about the long relationship between the UK and Nepal. They also inspected the parade along with CO IBS and DCOS HQBG. It was on 21st November 1985, in recognition of the service to the community, the Town Council of Brecon awarded the Honorary Citizenship of Brecon to the Gurkha Demonstration Company. Thereafter, the first parade, known as the Brecon Freedom Parade, was held on 3rd May 1986, and the tradition has continued ever since. 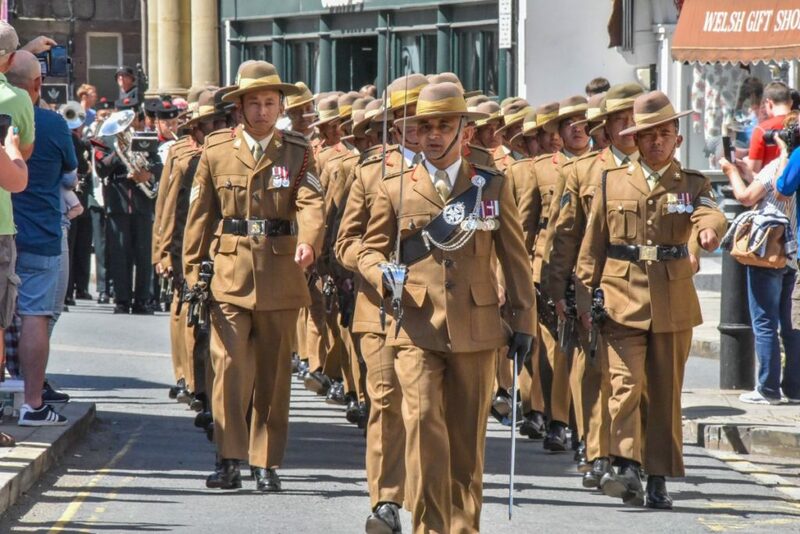 Hundreds of people witnessed the parade and enjoyed watching the smart and fast Gurkha drill, a wonderful display by the Band of Brigade of Gurkhas and traditional Nepalese cultural dances in the main high street in Brecon Town.